Nobody expects to find a corpse in the kerbside pick-up. Mystic Corpse is a 3,000 word short story set in your local suburb. On the way home from a funeral, in the pouring rain, seventy-year-old Maureen pulls over and digs a lamp out of the junk pile stacked by the road. She also grabs a suitcase containing the preserved corpse of a baby. 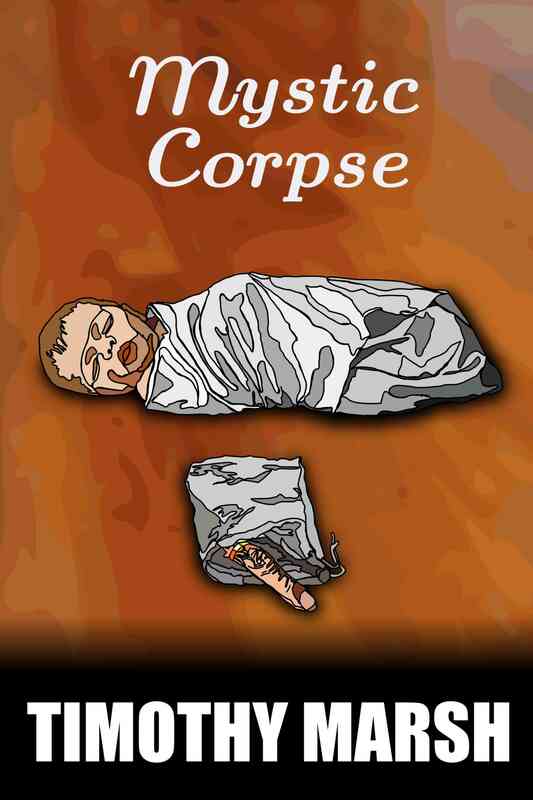 Mystic Corpse is available as an ebook through the publishing channels linked below. It is also available for free to people signing up to my mailing list. Please acquire and enjoy Mystic Corpse before reading the spoilers on the rest of this page. Note: Not available through Amazon due to their desire to be the exclusive publisher. Kindle version, free of DRM, available through Smashwords. Note: This section and beyond contain spoilers. Q: What inspired such a unique idea? A: I have a full fantasy novel stomping around my brain. It has been there for many years now and revolves around a magic brass ring. Working title “The Cursed Ring of Moira”. One day I wondered what would happen if the ring survived from the 13th century and turned up in the present. What wish might it drag along with it?